A healthy choice indeed. 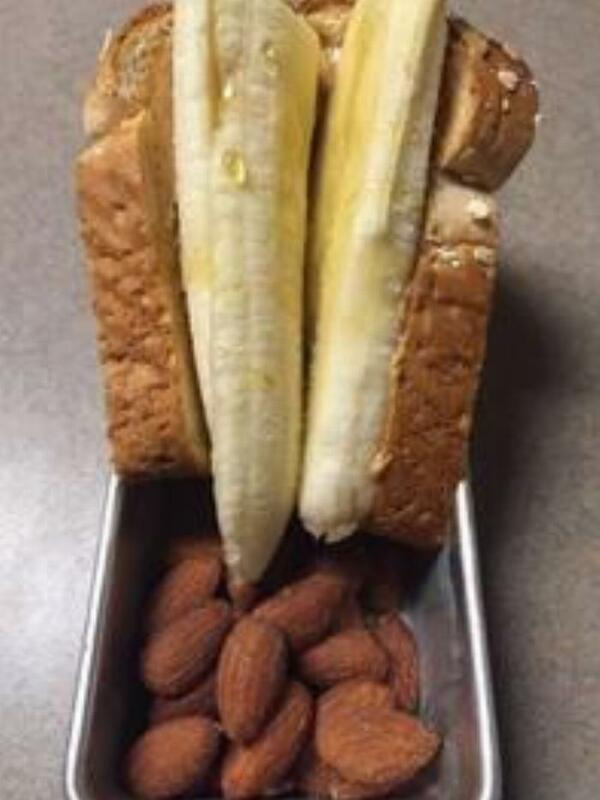 Peanut butter and banana with roasted almonds. Time for breakfast! This is a great choice to keep you full and going. It also goes well with coffee!